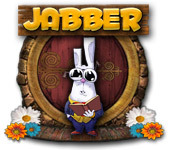 Jabber is rated 4.0 out of 5 by 4. Rated 4 out of 5 by mrm2006 from A word game and an ongoing story. This is one of the most unique word games I've played in a while. You string letters to form words. You get an * to indicate a "wild" letter - and there are a lot of them so you can form any word imaginable. There doesn't seem to be a timer except when a letter in an orange flower appears. It's petals start to fall off so use it quickly. There are also "icy" letters and letters in yellow flowers. Not sure what they all mean as it's not explained. When you finish each level, click on the book in the lower right hand side of the screen and a story will appear. The more levels you complete, the more parts of the story you'll get. The story starts out slow and strange but then becomes very interesting. There are also "bonus" rounds wherein you have to memorize placement of letters. Yes, while this is a unique game and I was very interested in the continuation of the story, this is not a purchase for me. Unfortunately, I do not care for word games. Poor me. I do encourage everyone to try it. You can read the story or not. I would, it's a good one. Happy Gaming! Rated 4 out of 5 by sparklefish777 from Fun Word Game! This is a fun word game. 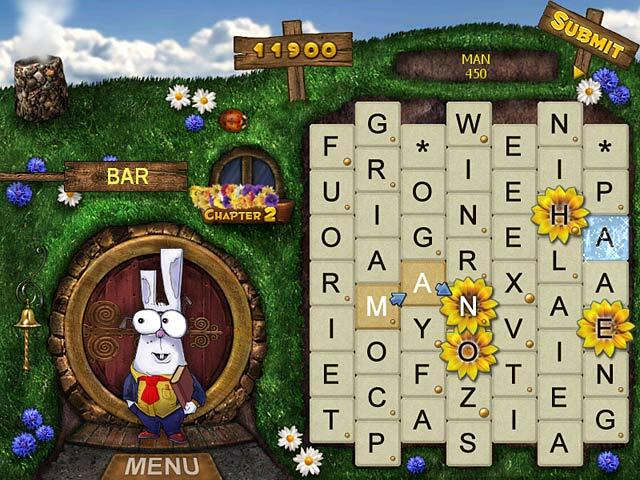 It's very similar to Bookworm Deluxe. 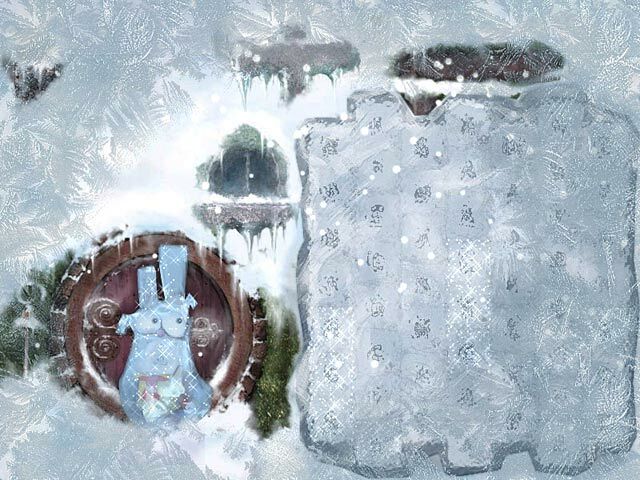 However, instead of flaming tiles, there are frozen tiles. If the frozen tiles reach the bottom before you make a word out of them, your game is over. Also, there are flower tiles which can be made into words for bonus points. Once the blue flower tile appears, you've made enough points to go the next level. 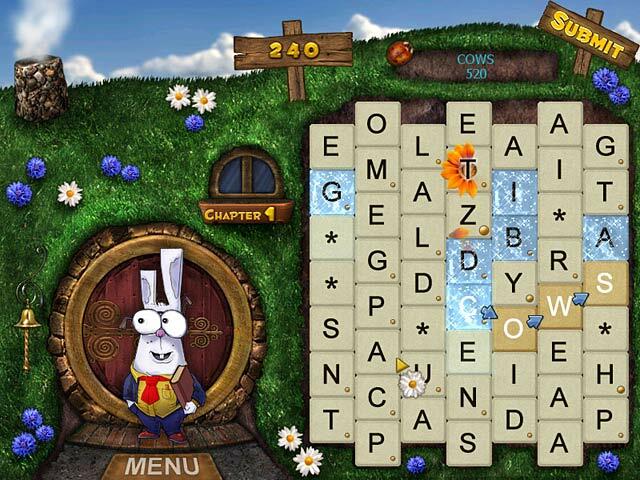 Your game is hosted by a friendly rabbit and if you click on him, you can scramble your letters. I also like the fact that there are a lot of blank tiles that can be used for any letter you want. Nice game! Rated 3 out of 5 by fundit2 from based on trial only I usually don't write a review on a trial of a game but there are so few reviews, I wanted to comment. This is similar in some ways to Bookworm but with less plot. Find connecting letters, sometimes using wildcards (*), to form words. More points for longer words, of course. I could not figure out if there was a plot or not other than help the bunny by finding words. No option for an untimed game and no way to mix up letters when you have too many vowels or too many consonants in an area and cannot make words. I like word games but this isn't a keeper for me.